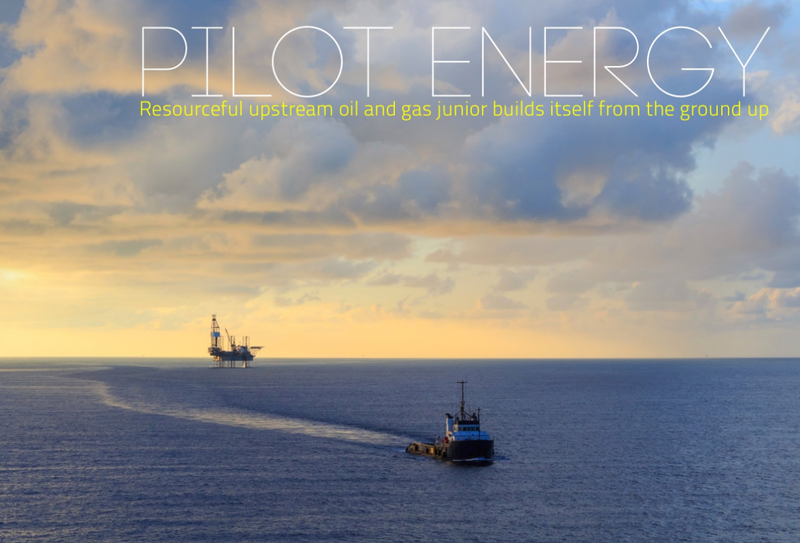 Pilot Energy (ASX:PGY) has experienced a period of significant growth over the past two years. Managing director Iain Smith and team have completed a company rebuild with extremely limited financial resources, during a period of testing conditions across the global commodities industry. In 2016 the ASX-listed junior brought in a cornerstone investment group from China, who invested AUS$3.6 million into the company, at a premium, to acquire 45% ownership of the company. After an extended period of enforced frugality, this long-term investment commitment symbolises the light at the end of the tunnel. Today, Smith tells RGN how Pilot battened down the hatches and has emerged from this challenging period with a diverse and balanced portfolio of exciting exploration projects across Western Australia. “In recent years, we have had to be creative in the way that we have operated, due to our limited cash resources,” says Smith. So that all new exploration projects could be picked up at low or zero upfront cost, , Pilot provided various financial incentives to encourage those third parties to let go of the projects, usually in the form of a future pay-out upon exploration success. In this period of tightened purse strings, Pilot Energy had to be extremely careful with the type of projects it picked up, and consistently followed a strategy of focusing on conventional oil and gas assets only, with manageable near-term work commitments. “The projects have all been early stage, so the work commitments have been more about geological and geophysical studies, rather than drilling wells or acquiring expensive seismic data” says Smith. All in all, this prudent acquisition strategy has enabled the company to acquire six permits across five projects in less than two years, all within a shoestring budget. The company is operator of all but one project, providing an important degree of control over project timing and expenditure. Pilot Energy has primarily focused its efforts on locating highly prospective onshore and offshore assets across Western Australia, utilising local knowledge to build on its rapidly developing portfolio in the region. In particular, the firm has shown a sustained interest in the sprawling Perth Basin, an area which many previously believed had fully matured, with little remaining potential. However, a large onshore gas discovery in the basin by upstream firm AWE Ltd back in 2012 completely changed the perception of the province within the industry, prompting Pilot to throw its hat into the Perth Basin ring. Since its initial foray in to the basin, Pilot Energy has steadily risen to the top. The company’s latest acquisition in the basin came in July 2016; significant because it made the company the largest net acreage holder in the region. Pilot acquired a 60% working interest in the large offshore WA-481-P block from Murphy Australia, and immediately undertook geological and geophysical studies on the block, the results of which have recently been published. 2D and 3D seismic data confirm the presence of 13 structural prospects within the permit, with total prospective resources of up to 435 Million barrels of oil equivalent. Studies also confirm the presence of a working petroleum system across within the permit, with the Frankland gas and the Dunsborough oil discoveries hosting 2C contingent resources of 42 billion cubic feet of gas and 6 million barrels of oil, respectively. “We are very excited by this block because it offers multiple options,” says Smith. Along with the WA-481-P block, Pilot holds three other permits in the Perth Basin, in the shape of the EP416/480 and EP437 permits. EP416/480 host a very large onshore gas prospect (comparable in size to AWE’s discovery) over which Pilot is conducting a geochemical survey. EP437 hosts numerous small oil prospects, the first of which will be drilled in 2017. “There are many small companies operating within the basin, however we have differentiated ourselves by our leading acreage position and our focus on exploring only for conventional petroleum resources,” states Smith. One could argue that Pilot’s position in the Perth Basin is a microcosm of its overall portfolio, which has been shaped by a clear strategy focused on maintaining a balanced collection of highly prospective upstream assets. Pilot recognises the relative benefits and risks associated with both onshore and offshore upstream activities and decided to maintain an open approach to both types of exploration, despite the greater costs associated with the latter. In addition to WA-481-P, the Pilot team secured two other offshore assets in order be sufficiently exposed to potential offshore rewards and maintain a balanced overall portfolio, even throughout a period of financial caution. “We adopted a counter-cyclical investment philosophy to position Pilot Energy in an optimal position ahead of the next industry upturn, by building a well-rounded company with a balance of onshore vs offshore, and oil vs gas. We have achieved that,” beams Smith. Pilot Energy’s focus on building a broad and balanced portfolio has been partly driven by the need to attract investment to the fledgling company. Attaining investor interest has been a difficult task for oil and gas firms under the current market conditions, which have been blemished by a sustained dip in commodity prices. However, Smith is confident in the quality of the firm’s projects and expects an increase in investor interest as the market recovers. “A discovery at any of our drilllable prospects will be highly economic at current commodity prices. Against the backdrop of a continued gradual increase in commodity prices, specifically in oil prices, what we hope to see is a rising tide of investor interest,” he explains. With the resources industry anticipating calmer waters ahead, junior firms are expected to reap the benefits of the commodity price revival, as speculators look for undervalued companies. Smith stresses how Pilot is a prime example of a junior firm that is hugely undervalued, given the company’s total prospective resources position of up to 4.4 Billion barrels of oil equivalent. “Even though we are a small company and a speculative stock from an investor point of view, we are already starting to see some money coming into the junior end of the market, with investors increasingly willing to back strong management teams and quality assets,” says Smith. Looking towards the future, Smith is bullish about the fortunes of Pilot Energy after successfully navigating the company through what has been a challenging period. Despite all five of Pilot’s projects being early stage, the Managing Director is confident of attracting farm-in partners. “Given that over the past two years we have been busy acquiring the assets and developing the portfolio, we are now in an excellent position to farm-out projects and get some wells drilled over the next year or two,” says Smith. After undertaking a bold company restructuring during a period of sustained downturn within the global commodities industry, and securing strong financial backing from China, Pilot is in a strong position to build on its exciting portfolio as the market picks up, and fulfil the promise provided by its West Australian portfolio.